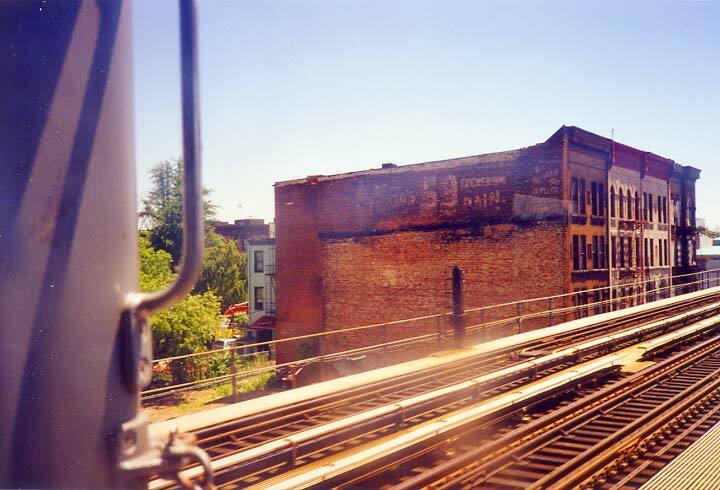 In the summer of 1999 or 2000 I was riding down Brooklyn’s Broadway El, of course riding in the front car of the R-40 so I could see out the front of the “railfan window,” and I got this shot of an exceedingly ancient ad which was, I think, in the vicinity of the Kosciuszko Street station on the east side of Broadway. I doubt it’s there any more. The ad was for a pain remedy, “Dr. Tucker’s “59” available from the 1880s into the early 1900s. I gather it was discontinued because one of its chief ingredients was cocaine; Coca-Cola was forced to remove whatever coca extraction it had around this time, as well. The best shot of this sign came from the narrow walkway on the side of the tracks. That’s where Fading Ads man Frank Jump got his optimal shot of the ad at around the same time. Frank was on ForgottenTour #1 on June 1, 1999 when ForgottenFans saw several other exceedingly old painted ads under the el on Broadway; most have been painted over now, as gentrification creeps in. 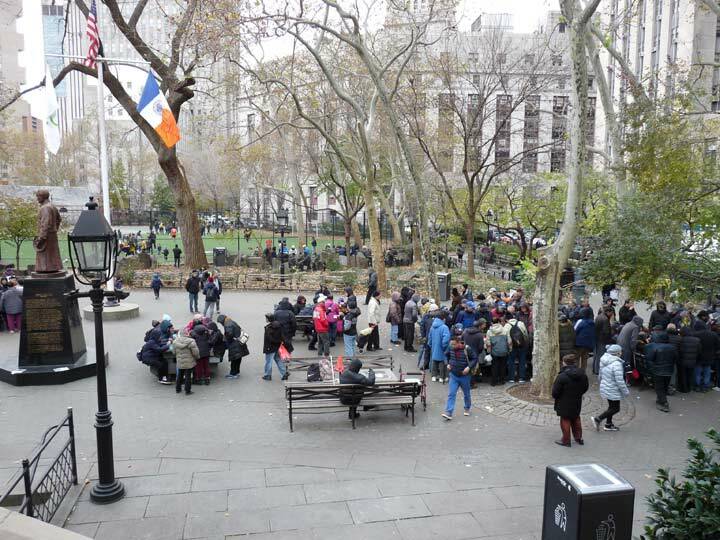 “Comment…as you see fit.” Comments are again available on FNY! That’s broadway between eldert street and covert street. I used to live in one of the buildings in the picture. I remember this advertisement (and many others throughout Bushwick, East New York, etc. What about the “horse garage on Gates Avenue and Broadway”, that could have been preserved but oh no the area didn’t need that, because of ALL the ‘bars’ going up all over the place) as well but very sadly, why keep things that bring us good memories and some of which could be cherished, when the hipsters and gentrifiers WILL just tear it down in the end? Thanks for the mention and link Mr. Walsh. Was this your Happy St Pat’s posting? Still love my braised tumeric cabbage with caraway seeds (now without the corned beef). I’ve got another shot of this that I blew up to four feet by six feet for the WAHS Center show in 2000. I think there is a restaurant in Park Slope with this ad on a wall inside.